As smart cities in the UK seem to be unknown to the large majority of Brits, other initiatives overseas are making the news. 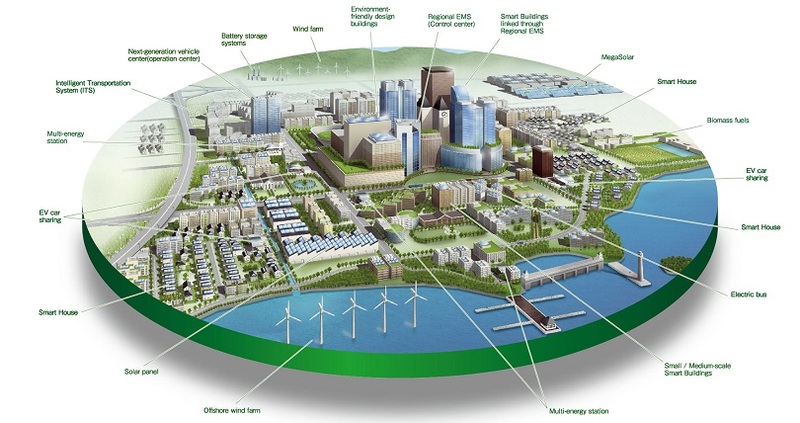 Yet, the smart city opportunity is very much alive in the UK. For example, London alone may benefit from £8.9bn of total global spending for smart city technologies by 2020, according to the ‘Future of Smart’ report by Arup. But how are other cities doing around the world? CBR lists five big smart city programs. Indian Prime Minister Narendra Modi’s plans to transform the country’s cities is now set to add forty more cities for the second phase of the $15bn Smart City Mission project. The cities are expected to be announced in June, following the first phase which includes Bhubaneshwar, Pune, Ahmedabad, Chennai, Bhopal and NDMC area of Delhi. Overall, the project will target 100 cities across the country and aims to have made them smart by the end of this decade. Cities will see general connectivity boosted, as well as e-government and citizen participation enhanced though IT systems, and an improvement of the overall urban mobility strategy and smarter public transports. The US Ambassador to India, Richard R. Verma, also said that the US will continue to invest in India’s smart cities, especially on the infrastructure side. The country sees a market potential of $1.5tr in India’s smart cities. 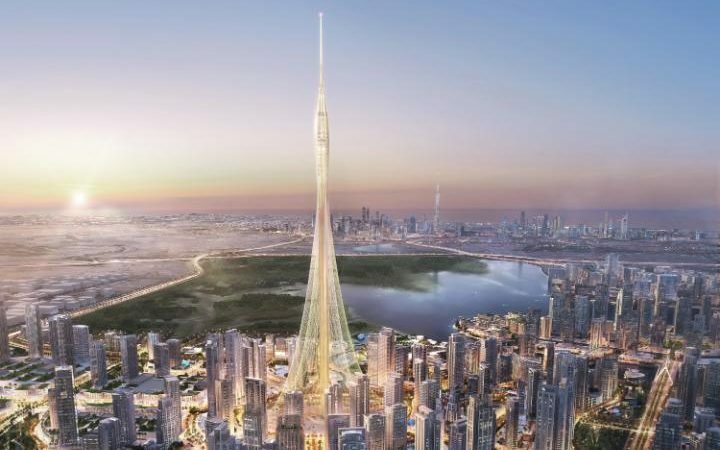 Dubai’s official government plans to smarten up the city are estimated to be worth $7bn to $8bn, yet, this value does not include all the private investments for mega projects such as, for example, the new city’s tallest tower (at over 828m) set for competition in 2020. Under the Dubai Plan 2021, the smart city strategy includes over 100 initiatives and a plan to transform 1,000 government services into smart services, mostly based on data. Dubai (together with neighboring city Abu Dhabi) is also deploying over 5,000 WiFi hotspots to offer free internet. With the city in preparations to host the Expo 2020 through to 2021, Dubai is also investing heavily on smart transportation systems, by deploying traffic sensors, launching mobile traffic apps, and also looking at the introduction of driverless vehicles in the city’s ecosystem. The Dubai Plan 2021 covers all other areas of a smart city, including healthcare, industrial, education, safety, telecoms, tourism and utilities, where 250,000 smart meters are set to be deployed by 2018. In the safety arena, one of the city’s government plans is to introduce Google’s Glass technology to the police to create the world’s smartest police stations also by 2018. The country is also taking urban landscape to an extreme with plans to build an artificial mountain, tall enough to make it rain more often in the desert nation. The project’s cost is still being estimated by the National Centre of Meteorology and Seismology. The Catalonian capital, Barcelona, is rapidly becoming a smart metropolis and a world tech capital. The city has deployed sensors to measure different things, from noise control to air quality and waste management. Yet, the most widely used sensors network gives motorists real-time information on street parking using the mobile app ApparkB. Streetlights are also another value asset. On top of LED technology, the more than 3,000 lights have the intelligence to active when motion is detected, as well as gather information about pollution, noise, humidity and the overall environment. Recently, the city announced that half of the 1,500 WiFi spots planned for deployment have been installed and works will continue to bring free internet access across the whole city. Barcelona is also rolling out more eGovernment services, contactless services, more city apps, smart bus stops and more. Barcelona City Council and the Catalan Government have also announced that a total of 90m euros will be investment in the next mandate to boost investment related to economic growth, innovation and the public services of smart cities. Prime Minister Malcolm Turnbull has unveiled the "Commonwealth’s Smart Cities Plan" for the country. The Government said the plan is not solely targeted at capital cities, but at every Australian cities. It has also called on all Australians to share their ideas on what their cities need digitally. The project is being launched with an initial $50m budget to develop business cases and investment options for major infrastructure projects. The Singaporean government, which started one of the largest smart cities roll outs in the world back in 2014, Smart Nation, has unveiled plans to cover the entire city-state with sensors and smart cameras to collect data across all verticals, including rubbish. According to the WSJ, the government will put the data into an online platform (Virtual Singapore). The data will be accessible to governmental bodies only and will give insights into everything, including public waters in an attempt to bring down any risk of diseases. 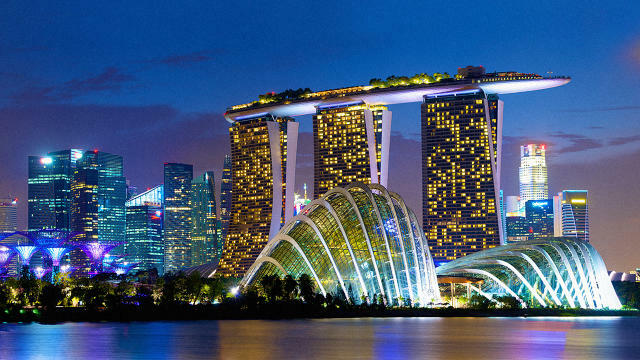 Singapore has never disclosed any amount invested in the Smart Nation program, yet, it is safe to say hundreds of millions of dollars must have been invested.